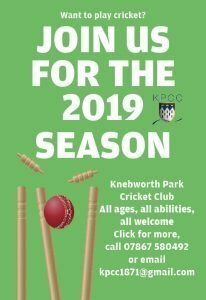 IF you like your cricket just a touch less intense, then there’s always a full programme of friendly fixtures at Knebworth Park. After all, what could be better than whiling away a sunny Sunday afternoon in the glorious surroundings we are privileged to call home? We have a game pretty much every Sunday; it’s still competitive and the opposition are never a push over. We usually have a different captain each week, depending on availability. There are midweek games, too, usually against touring sides. On Friday nights, we also have regular social matches where the emphasis is firmly on fun… but there are still games to be won (even if most of them are in the bar afterwards).